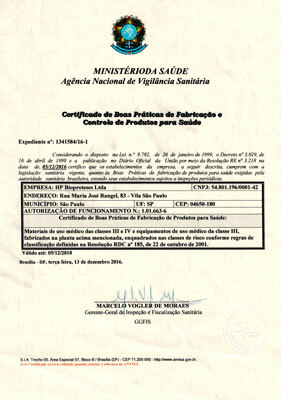 Hpbio was founded in 1985 by the physician and cardiovascular surgeon Prof. Helio Pereira de Magalhães. The initial goal of the company was to research and develop new models of cardiac prostheses, seeking improvements and innovations in the fields of design, materials and production technology. 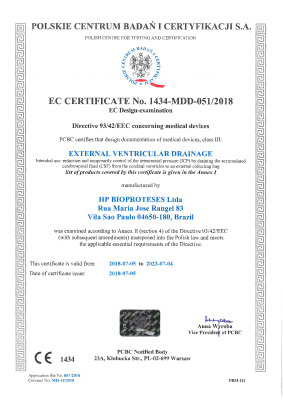 Consequently, in the first years the company intensively worked developing biological cardiac prostheses technology, such as heart valves made from bovine pericardium and porcines, and also bovine pericardium patches, aortic and pulmonary conduits. Improvements were made on the design to make them more anatomical, and changes in the production method delivered more strength, durability and functionality to the product. The next step was the development of mechanical carbon valves, pioneering work in Latin America, bringing to the market innovative ideas in design of prostheses with biomaterials association. In the early 1990s Hpbio engaged in the development of Cerebral Shunt Systems for Hydrocephalus, and after 2000 became the first Brazilian manufacturer to have a significant presence in the domestic market. During the 2000s the company underwent a process of modernization to adjust the company to the ISO quality international standards, and to certify the neurosurgery scope for the European Community with the acquisition of the CE mark. The modernization allowed the consolidation of the brand in the national neurosurgical market and the expansion to Latin America, Asia, Africa, Middle East and Europe. In the last 15 years, Hpbio has already achieved over 100.000 implants of its Cerebral Shunts throughout the world. Since 2010 the company has invested for other product lines, such as gastroenterology, and started to manufacture the intragastric balloon and Percutaneous Endoscopic Gastrostomy Kit (PEG). Hpbio recently launched its line of Intracranial Pressure and Temperature monitoring catheters (ICP), and continues the development of other products for implants and surgical procedures always seeking for innovation and quality that is comparable to products manufactured in Europe and the United States. 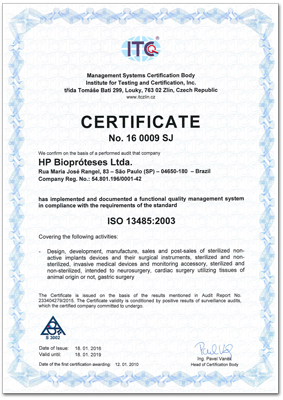 Hpbio is a Brazilian company focused on the development and manufacture of products for implant and surgical procedures. Its main expertise is in the manufacture of silicone products such as catheters, drainage systems and others. 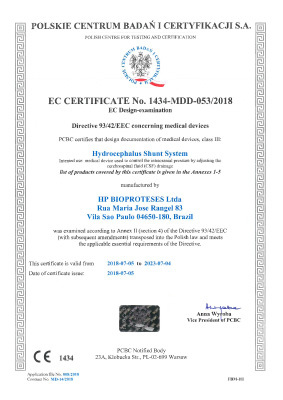 The company pursues excellence of its products, always moving toward the fulfillment of international standards for medical materials manufacture such as ISO 13485 and European Directive 92/43 / EEC. The company think the world as one, and creates its products do be used anywhere in the world, always accessible to all patients.